Reservoir/Fog 2018, watercolor, gouache and colored pencil on paper, 9 x 23 in. 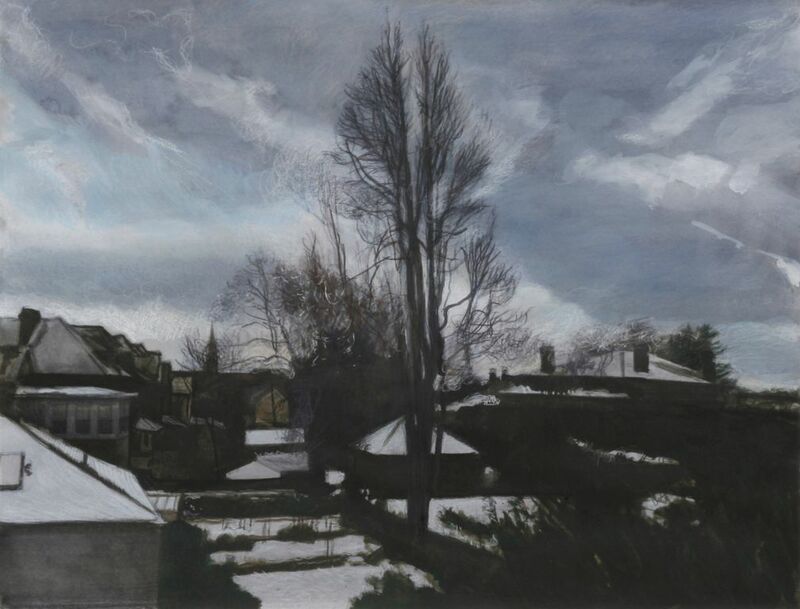 Backyard/Snow 2018, watercolor, gouache and colored pencil on paper, 15¾ x 20¾ in. 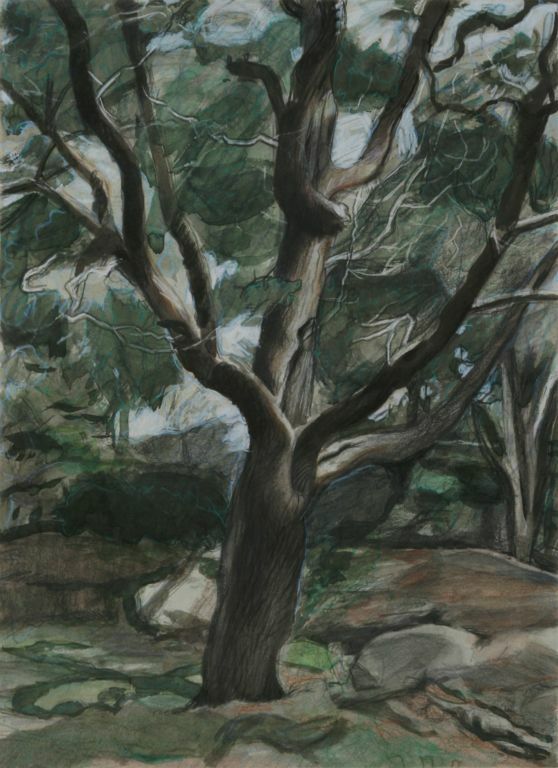 Juniper Tree 2014 (Study) 2014, watercolor and colored pencil, 17 x 12½ in. Juniper Tree 2013 2013, watercolor and colored pencil, 11 x 14 in. 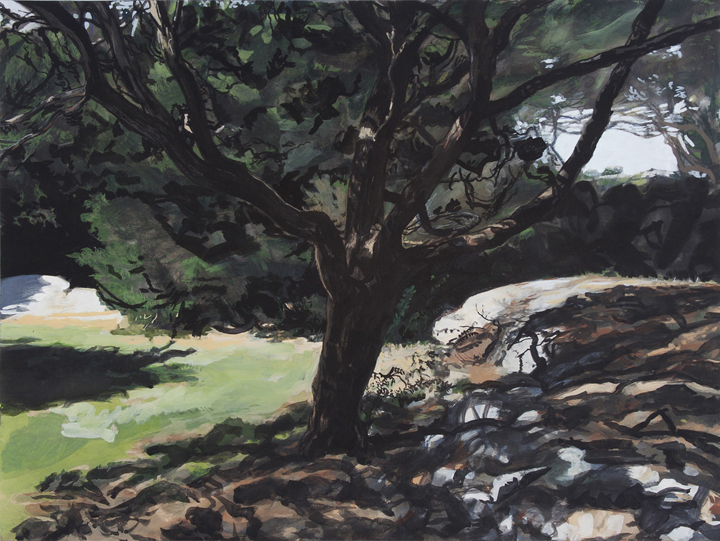 Juniper Tree 2013 2013, gouache and colored pencil, 20 x 26½ in. 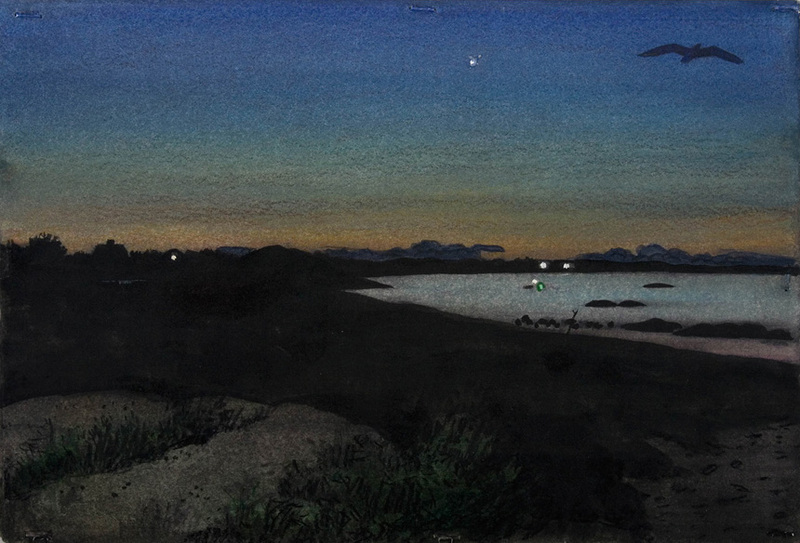 4AM 2012, gouache and colored pencil, 8½ x 11 in. A Note For You 2012, watercolor, gouache and colored pencil, 26½ X 31½ in. 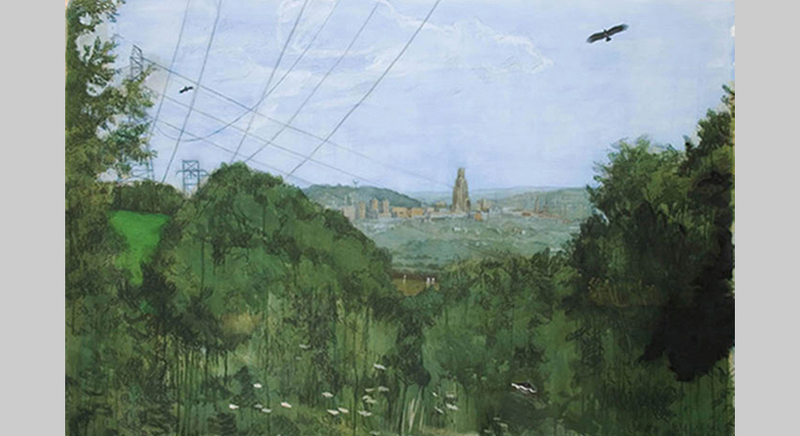 Highland Avenue 2012, watercolor, gouache, charcoal, colored pencil & pastel on paper, 42 ½ X 53 ¼ in. 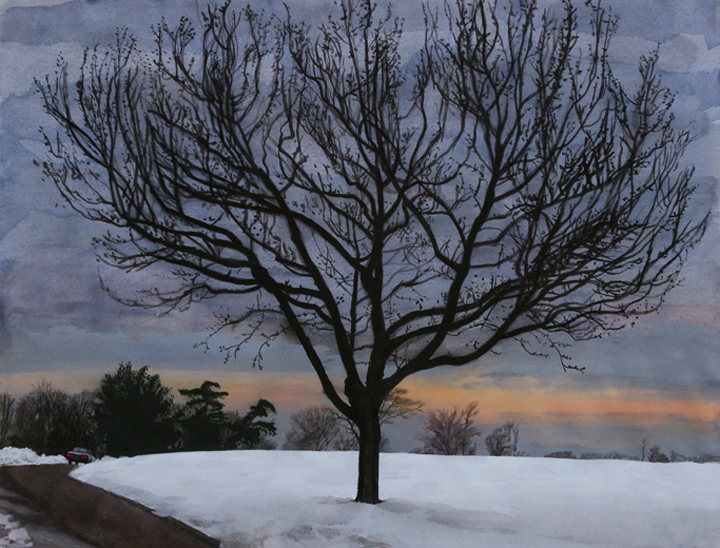 Sweetgum Tree 2010, watercolor, gouache and colored pencil, 25 x 32 ½ in. 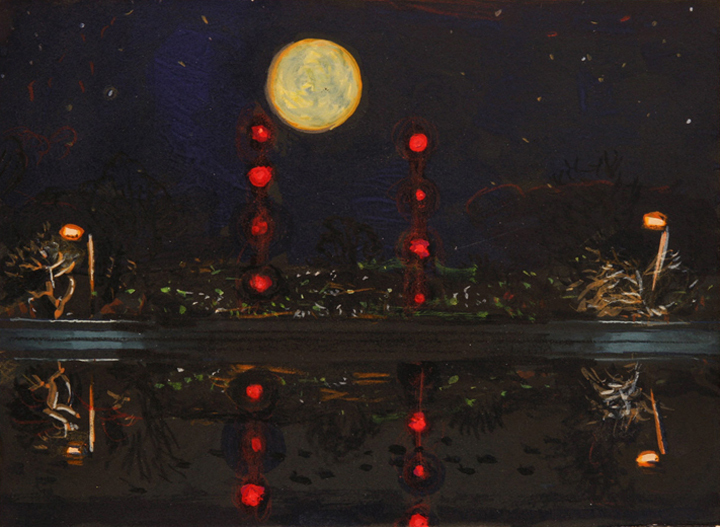 Reservoir/Twins (Study #1) 2010, gouache on black matboard, 5 ½ x 7 ½ in. 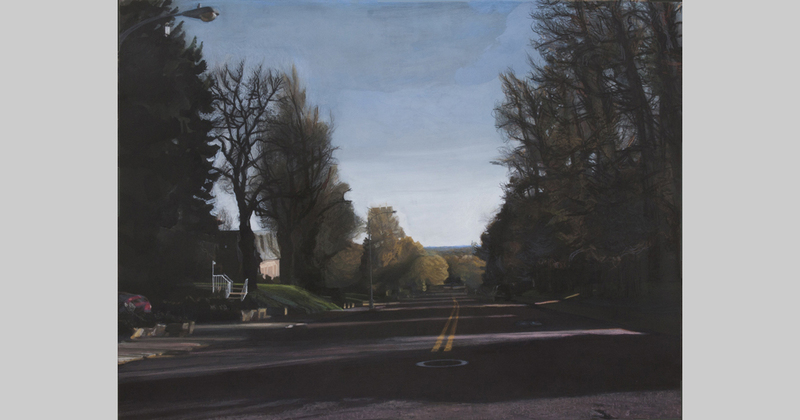 Reservoir/Election Day 2008 #1 2008, colored pencil, 6 ¼ x 15 ½ in. 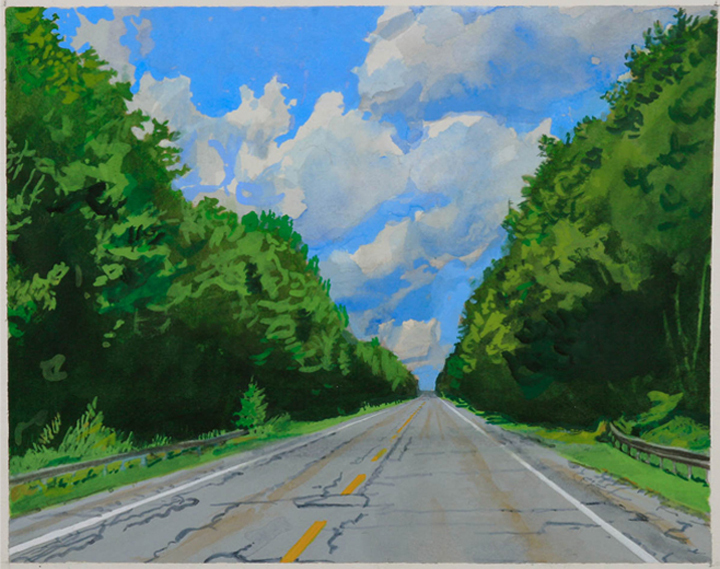 The Highway (Study) 2008, watercolor and gouache, 10 ½ x 13 in. 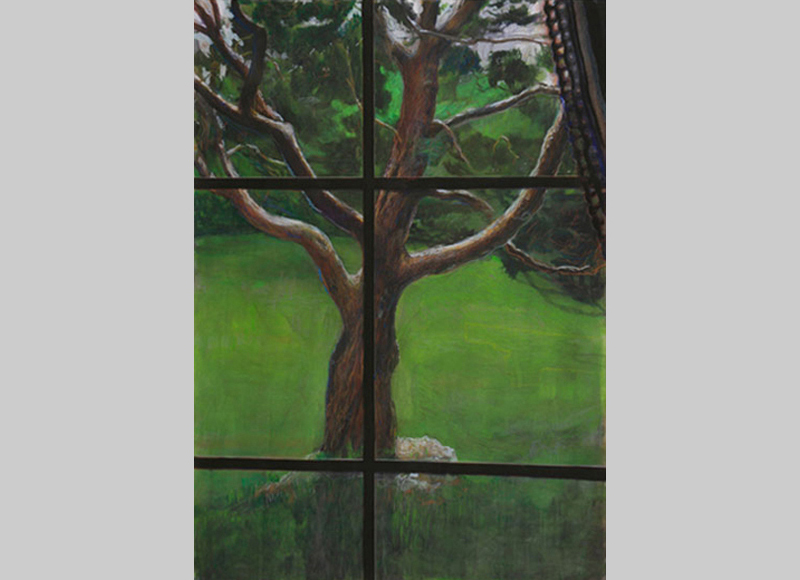 Juniper Tree/Window 2008, watercolor, gouache, charcoal & pencil on paper, 42 x 30 in. 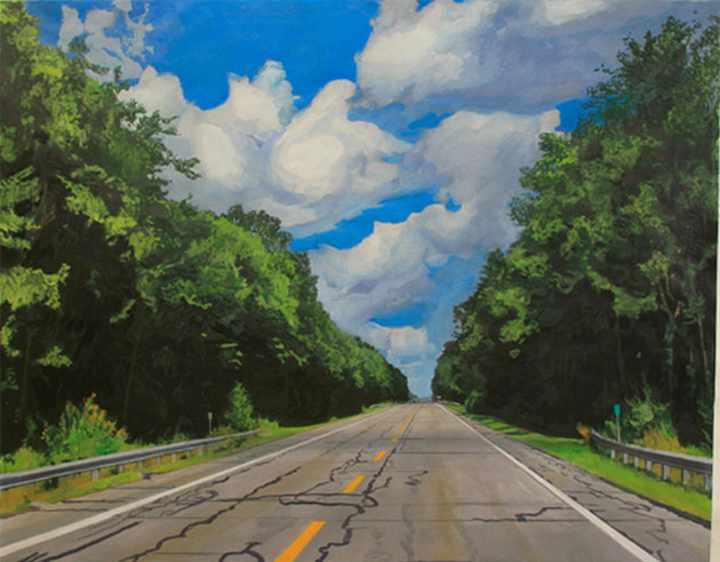 Two Lane Highway 2008, gouache and colored pencil on paper, 54½ x 70 in. 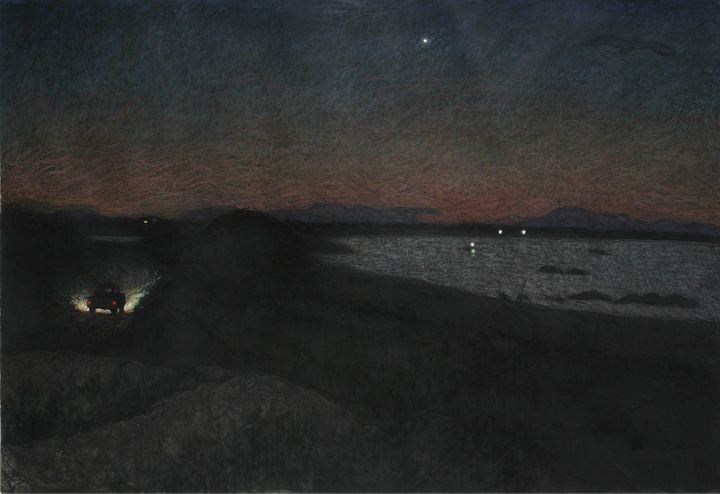 Daybreak at the Harbor 2006, watercolor, gouache, colored pencil, charcoal and pastel, 32 ½ x 47 ½ in. 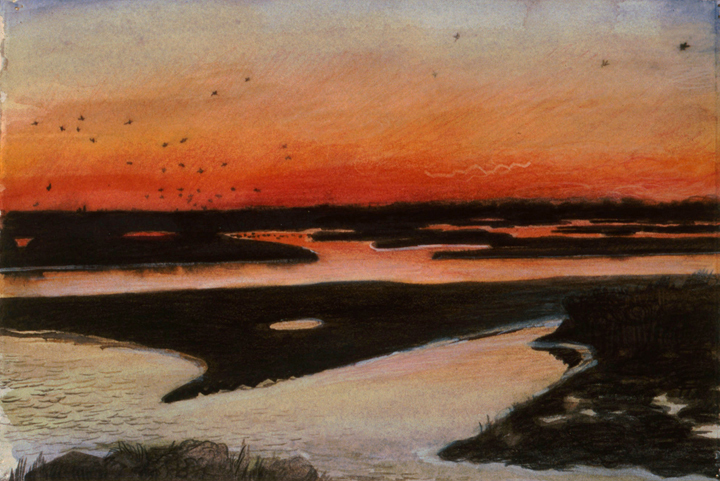 Daybreak at the Harbor 2006, watercolor, gouache and colored pencil, 9 x 13 in. 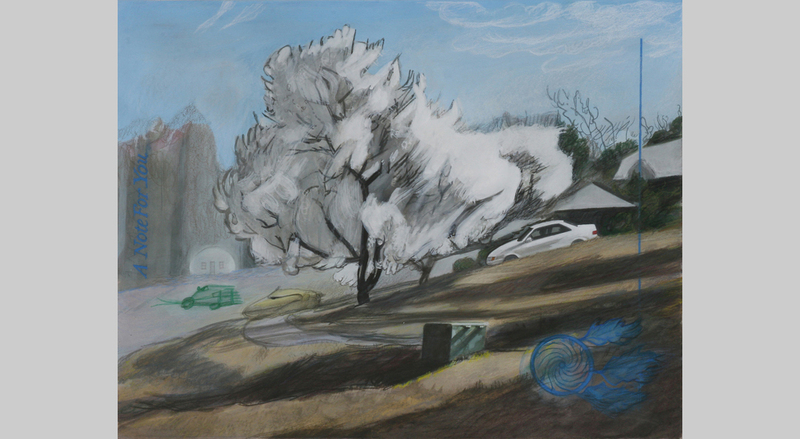 Tree and Garage 2006, gouache, charcoal, colored pencil & pastel on paper, 69 x 49 ½ in. 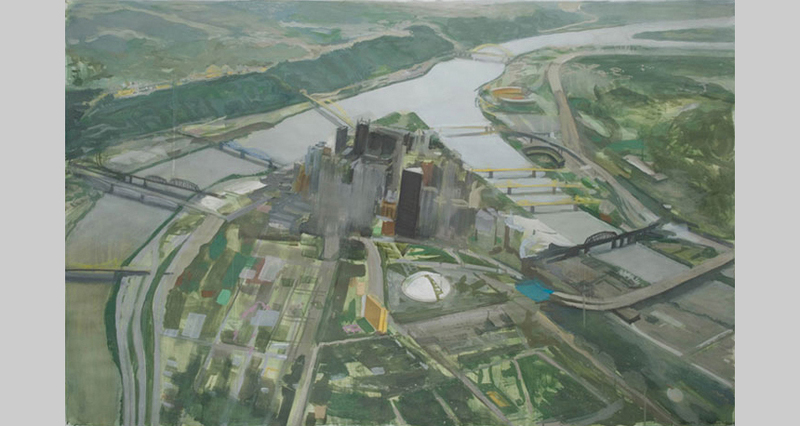 Pittsburgh from the Air 2006, watercolor, gouache, charcoal, graphite & colored pencil on paper, 50 ½ x 79 ½ in. Reservoir with Pink Cloud (21/50) 2005, silkscreen, 15 x 25 in. 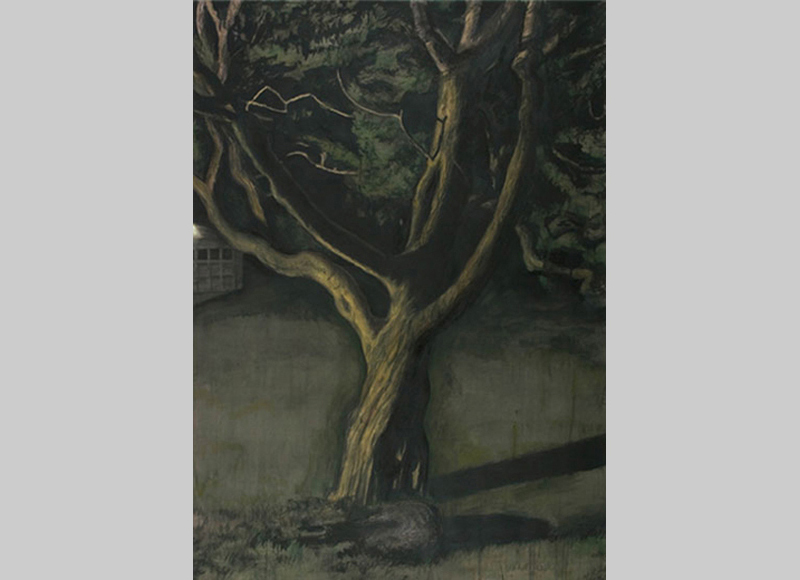 Hays Woods 2005, gouache, colored pencil, charcoal, pastel & graphite on paper, 59 ½ x 88 in. 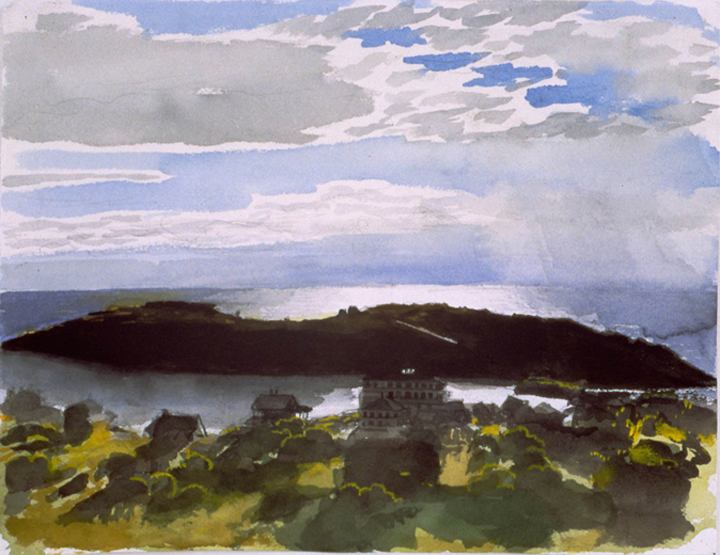 Monhegan Island 1999, watercolor, 10 ½ x 14 in. 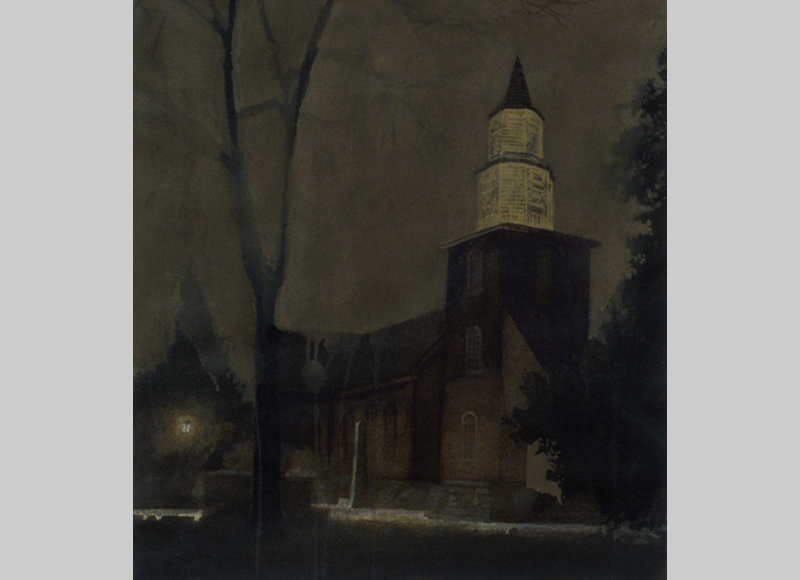 Bruton Church (Study) 1996, watercolor & gouache, 17 x 15 ½ in. 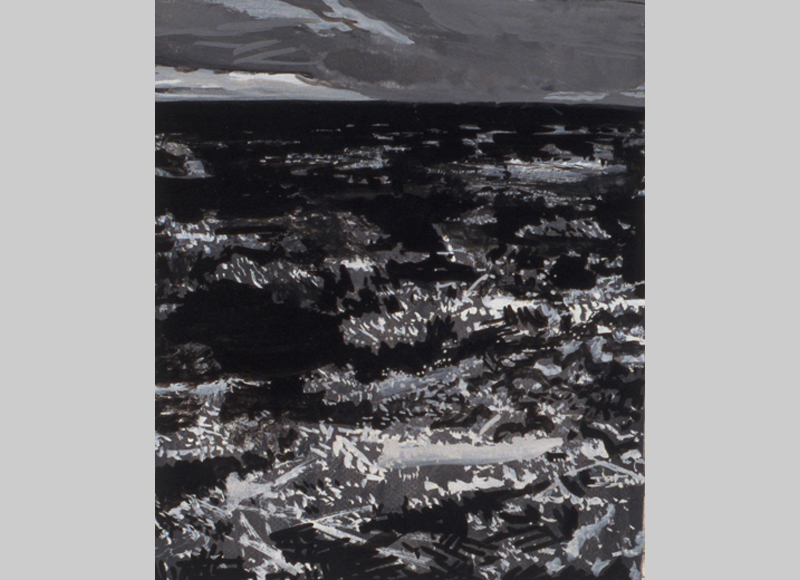 From the Air 1996, gouache (black and white), 9 x 7 in. 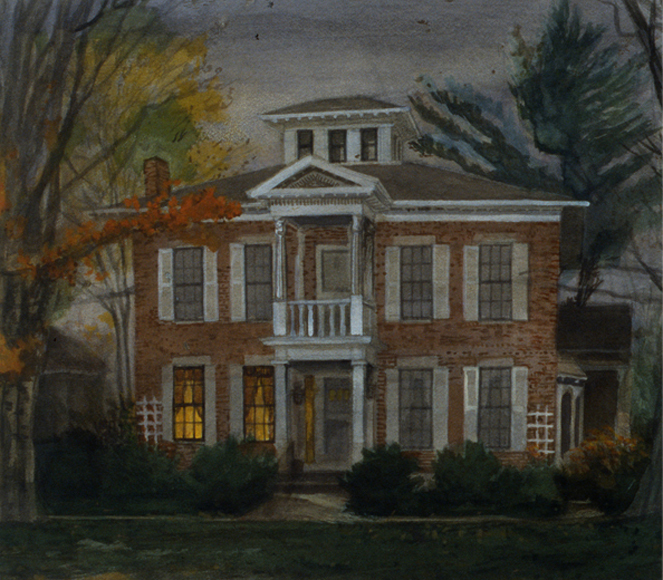 Perkins House 1995, watercolor, 16 ½ x 17 ½ in. 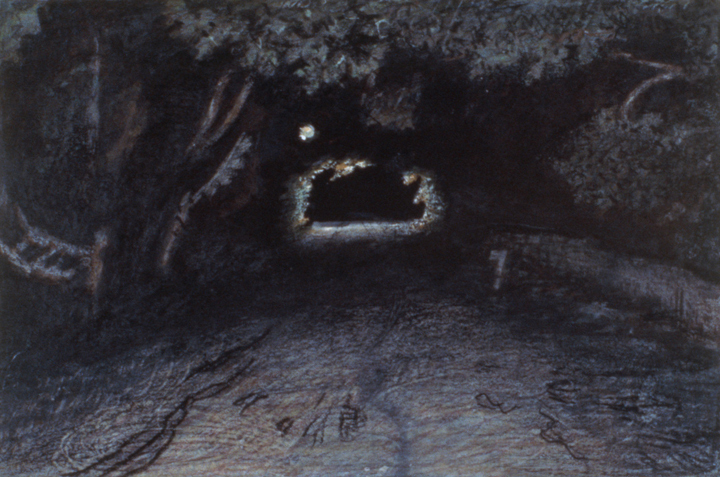 Near Nonquit Pond 1993, gouache and colored pencil, 6 ½ x 9 ½ in. 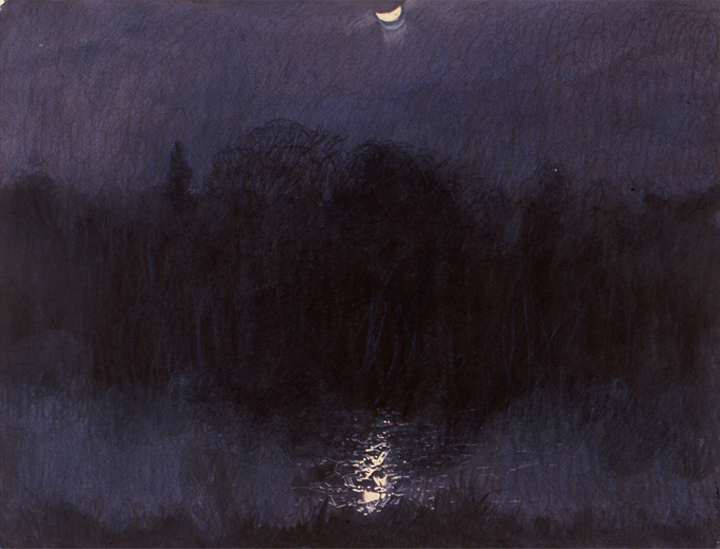 Allens Pond 1992, watercolor and colored pencil, 8 x 12 in. 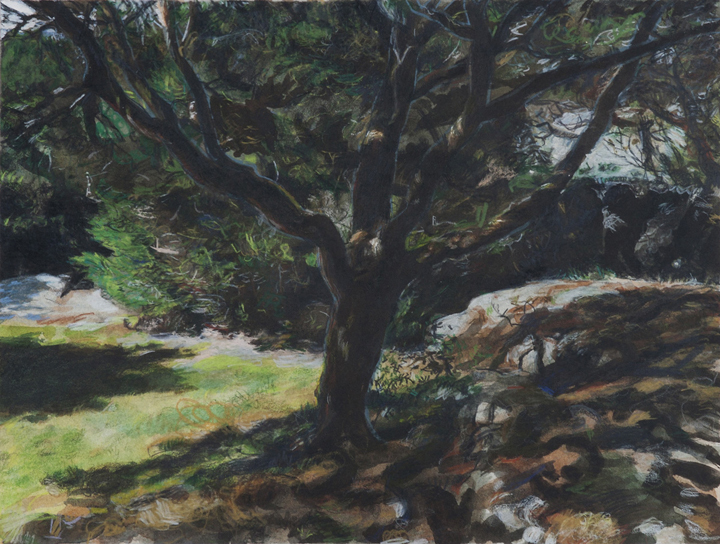 Tree by the Pond 1992, watercolor and gouache, 16 ½ x 24 in. 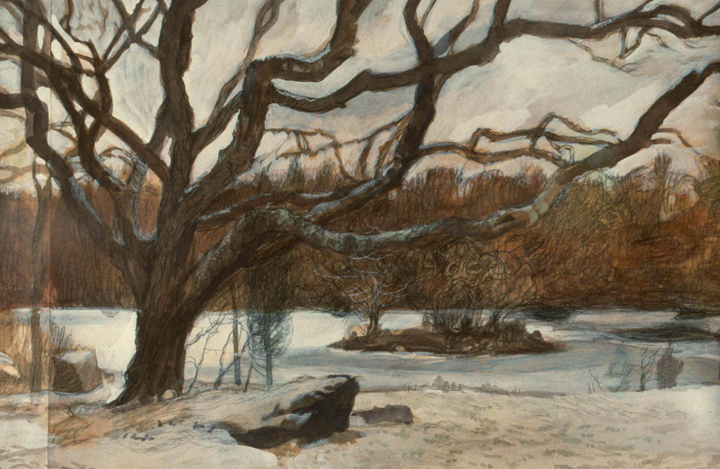 Frozen Pond 1992, watercolor, gouache and colored pencil, 14 x 19 in. 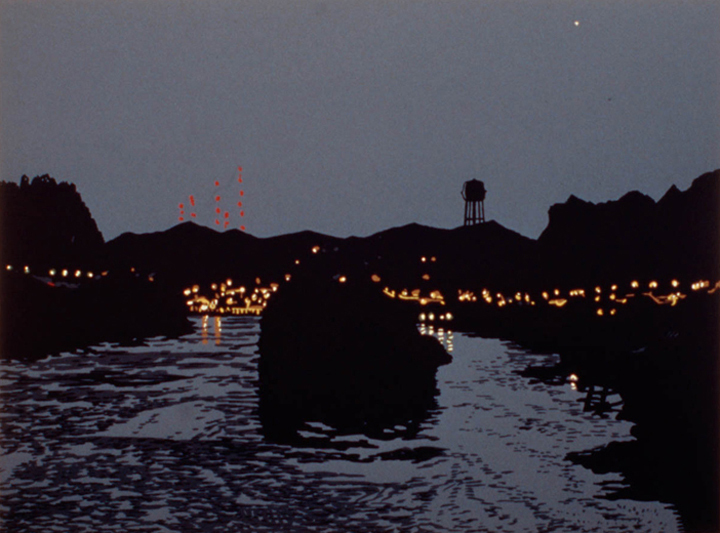 River Near Sharpsburg (56/100) 1991, silkscreen, 16 x 19 in. 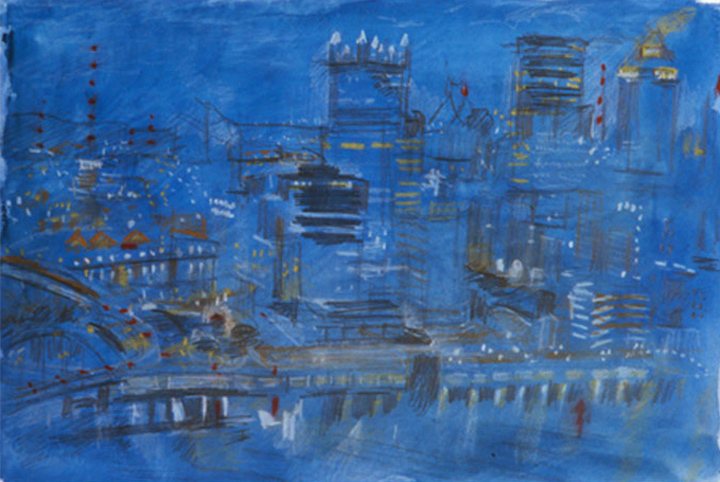 The Excellent View 1985, watercolor, graphite and colored pencil, 10 ½ x 15 in. 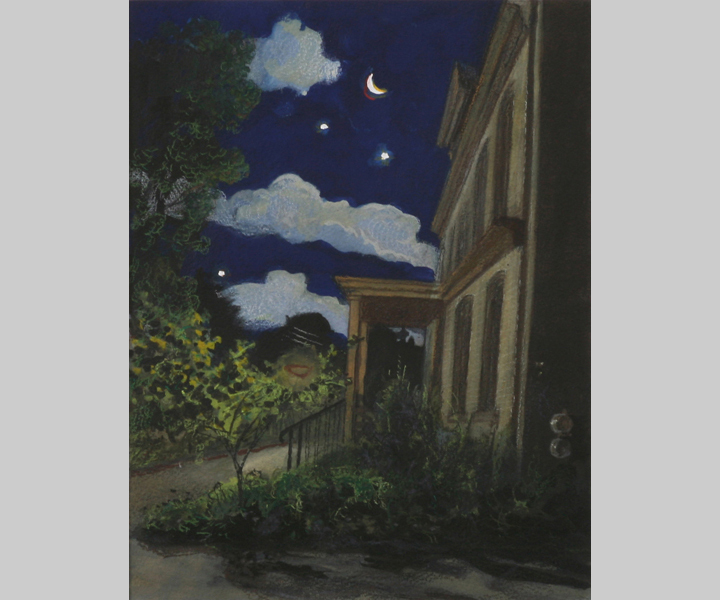 St. Mary’s Villa 1984, watercolor, 6 x 12 ½ in. 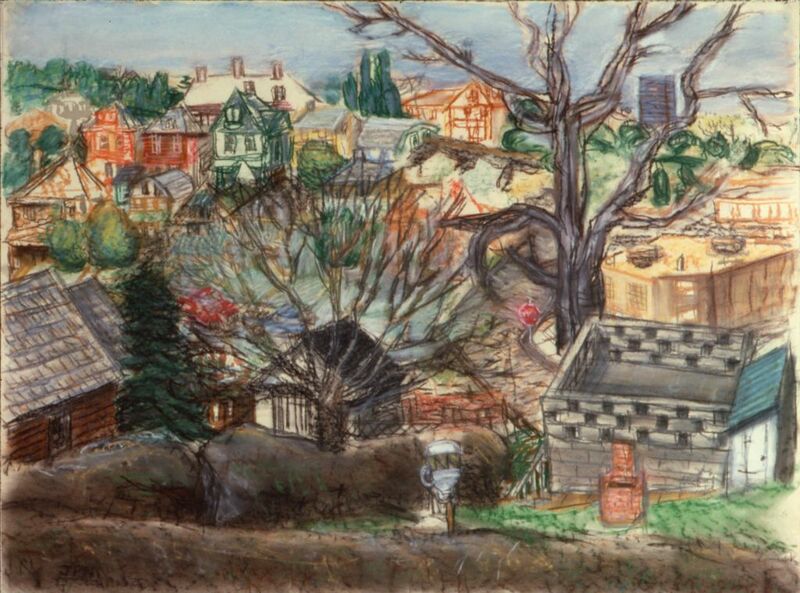 Beacon Hill View 1978, pastel and watercolor on paper, 26 x 34 ½ in.